M 1000 x 686px 2 Mb. XL 4500 x 3085px 15 Mb. 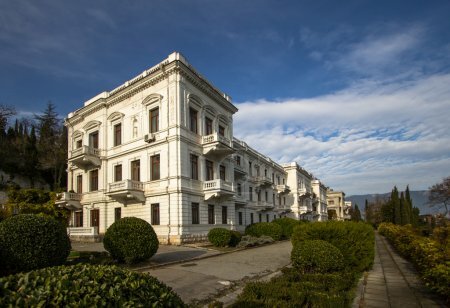 Livadia Palace (summer retreat of the last Russian tsar, Nicholas II, Crimea, Ukraine). Built in 1911 by architect N.P. Krasnov.